"Nobody has ever loved me the way he did. And I truly hope he felt the same way." While stationed in Germany, she met Long Island native John Engeman. Living in the barracks, they had what soldiers often refer to as a “barracks romance”—a fling that does not last long. But Donna and Sergeant Engeman quickly fell in love and in February 1983 they married. Originally aired May 26, 2016, on NPR’s Weekend Edition Saturday. Top photo of Donna Engeman courtesy of Slade Walters/IMCOM, U.S. Army. 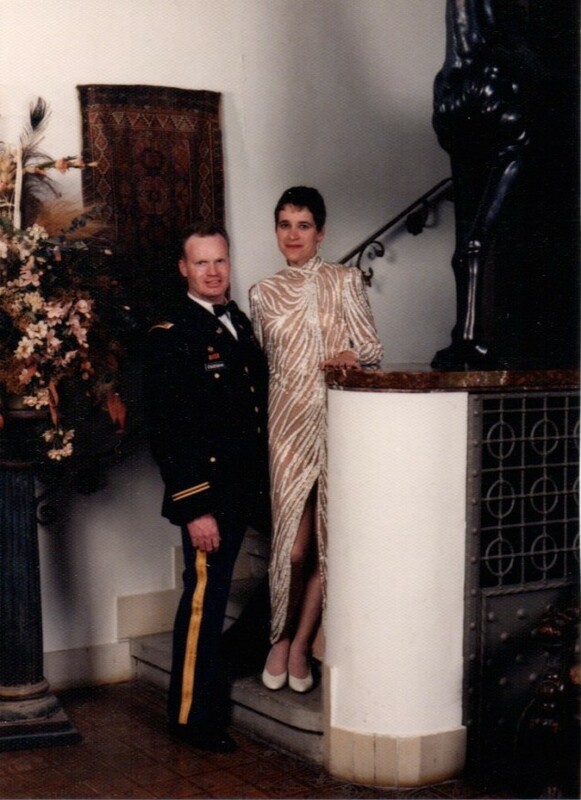 Photo of Donna and John at a 2002 Military Ball courtesy of Donna Engeman. DE: He had pretty green eyes and he had this shock of curly red hair. It looked like Superman. If it had been black hair he would have been Superman. We were very young soldiers, and we were living in the barracks. A lot of times those relationships happened, and typically they called ‘em a barrack romance because they didn’t last very long. NM: But you and Daddy lasted quite a while, right? DE: We did. We were married in 1983. And Daddy died in 2006. NM: Tell me about Daddy as a young parent. DE: He always had an inordinate amount of patience. The first three weeks of your life you were this tiny delicate little bundle and you just slept on his chest. He would not move at night. And honestly that was the only three weeks out of our entire marriage that I didn’t hear him snore. NM: What’s your favorite memory about being married to Daddy? DE: (laughs) I remember when we were at a military ball, and we were dancing. And the music had been fast, and then we went into a slow dance. And he was in … his dress blues. And I remember how he would hold me. Isn’t it weird, I still remember what his lips feel like on my neck. 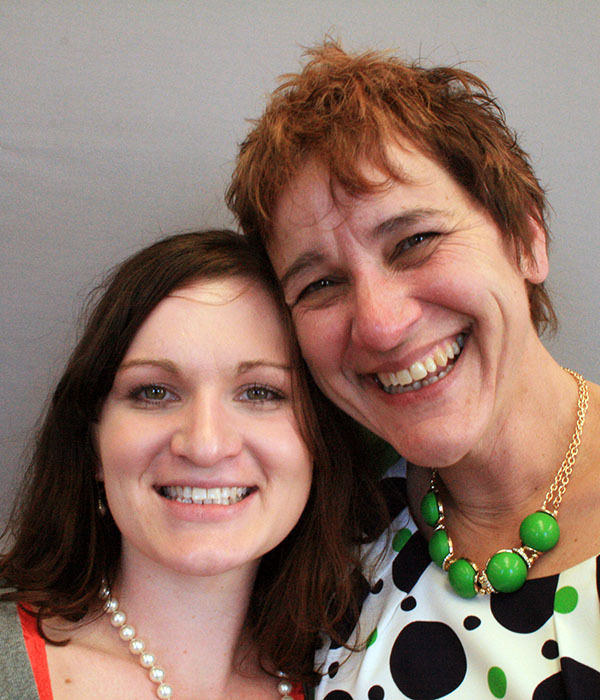 NM: If you had a minute, one minute … what would you say to Dad? DE: I would want him to know, nobody has ever loved me the way he did. And I hope, I truly hope he felt the same way.